Achieve ‘I woke up like this’ levels of flawless with the iconic Born This Way Foundation from Too Faced. Offering medium-to-full, undetectable coverage, the oil-free formula features moisture-restoring coconut water, brightening alpine rose and hydrating hyaluronic acid, nourishing skin as it creates a seamless finish. With 35 versatile shades to choose between – from Porcelain to Cocoa – you’ll be sure to fool everyone into thinking you were born this way. 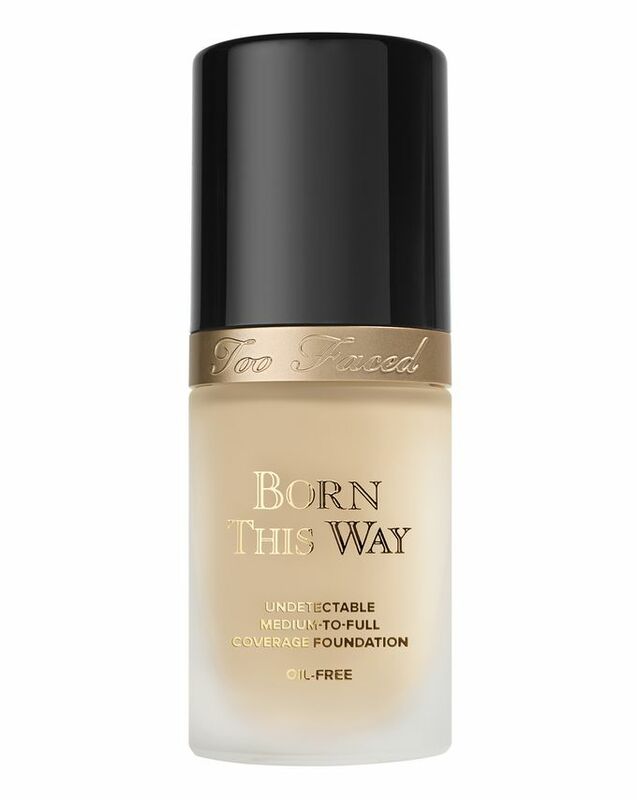 A make up icon, Born This Way Foundation by Too Faced offers medium-to-full, undetectable coverage that’s become rightfully famous. Inspired by the ‘I woke up like this’ beauty mantra, Too Faced set out on a mission to create a flawlessly natural-looking foundation – and Born This Way is the result. The luscious liquid formula is enhanced with gorgeous, skin-loving ingredients: coconut water helps to replenish skin’s moisture levels without overburdening it, alpine rose brightens and promotes elasticity and hyaluronic acid provides long-lasting hydration for a more youthful appearance. 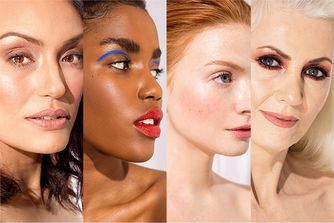 The 35-strong shade range is versatile enough to suit a wide array of skin tones: there’s everything from Cocoa to Porcelain, via Caramel, Almond and Sand. Apply with fingertips, sponge, or brush. Start at the centre of the face and work outward. Apply more to achieve desired coverage. Beautiful foundation - flawless finish! This is an amazing foundation. I mean the finish, longevity and coverage. On me, it pulls a satin finish with medium coverage and lasts long. Only complaint would be shade description. The shades are way darker in person than described here. I would say whatever shade you plan on buying, buy a shade lighter in your undertone. I ordered the shade porcelain. The description said it was fair with pink to neutral undertones. When it came it was a lot darker than I was expecting and it was very orange with golden undertones which was very disappointing. The shade was not what was described and not what I was wanting so I wouldn’t trust the shades shown. A love this foundation. It's light way and stay nice on the skin. I honestly do not understand the rave about this foundation? It’s expensive and awful, it is not medium to full coverage and feels very heavy on the skin. It takes a lot of pumps to actually cover any imperfections such as acne or scars. 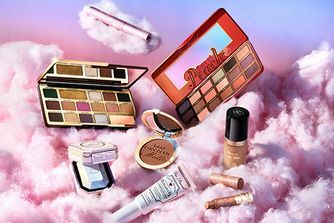 If I'm being honest it’s not worth the money at all ... the concealer however is wonderful, I would recommend that instead. Hands down the best foundation!! Covers all without looking cakey and stays put! Love love love!!!! It was nice but for the coverage you need a lot as you will use it up real fast. I bought this foundation after seeing lots of great reviews, and I wasn’t disappointed. It had medium to full coverage which I love. I used a beauty blender first which gave medium coverage & then used a brush the second time and it had the most coverage. 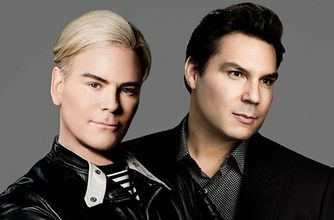 The colours are a little difficult to choose from as I had no idea what shade I would be, i chose vanilla, it’s a little dark but I can work with it by using concealer to lighten areas. Overall a lovely satin finish, would buy again. My all time favourite foundation. I have combination skin with oily T zone. It's a buildable foundation giving you full coverage. It applies smoothly & the end result is flawless looking skin even on my mature skin. I have tried every foundation out there & I won't pass too faced born this way. Very happy customer. Very good coverage is medium and not too mate but it oxidizes a lot. But I will buy it again just a shade lighter. I ordered the shade Snow and it matches my skin undertone perfectly, you can't even tell I'm wearing any foundation. Honestly, I didn't think I was gonna be this impressed. I absolutely love it, it meets every expectation. I think this is my 5th time buying this, absolutely love it! I absolutely LOVE this foundation! It's so satisfying putting it on and its coverage is amazing! Best foundation ever! I've tried A LOT and this stays all day! This by far is one of the best foundations I’ve ever used! It covers redness really well and leaves a nice dewy finish once applied. This foundation covers without looking ‘cakey’ and looks great on the skin. It gives a seamless skin-like finish and doesn’t look heavy, overall it’s a must have product. Absolutely love this foundation. Im an oily faced gal, my foundation usually ends up sliding off my face onto my clothes but this foundation behaves beautifully. This has to be my all time favourite foundation & I have tried a lot. The only foundation I have worn that I receive compliments on. I'm 51 with combination skin oily t zone & it spent cake up & it's great to blend. Buildable from a natural cover to full coverage. Just love it.